If you’ve ever wondered if you can upload your own images in Cricut (for print then cut, or just cut), the answer is YES! And it’s not hard like you might think either. Plus, I’m going to walk you through the whole process, and even have a video linked up below, so by the end of the post, you’ll totally have the power. 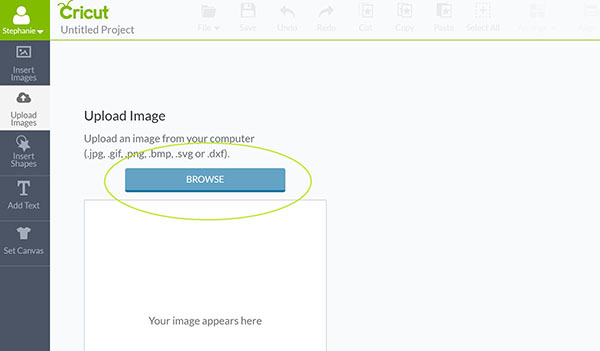 1) On a current or new project, click the “Upload Images” menu item on the left. Then click the “Upload Image” button. 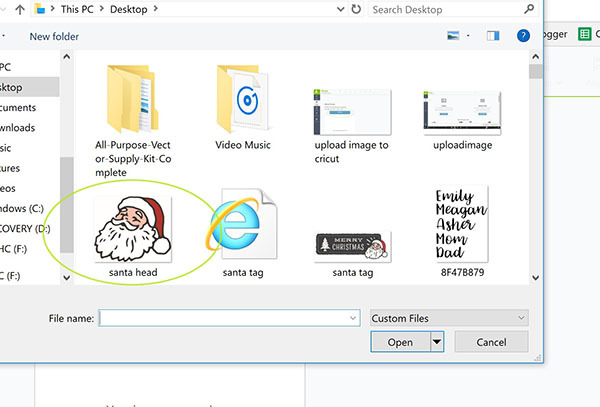 3) Open the right folder on your computer where you have the image you want to upload and double click on it. 4) Now you need to remove the background. Unless I have just a black and white image, I usually like to choose the Moderate option. 6) Click on the uploaded image (or images) that you want to use in your project and hit the “Insert Images” button on the bottom right. If any of that doesn’t seem clear, watch this video where I walk through all these same steps. When you click “Go” you see the screen where you can see placement on the mat and edit the number of copies if needed. Stick the page down on the mat and then proceed like you would with any cut. 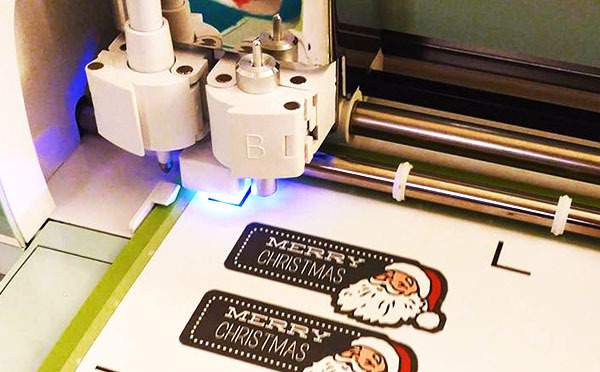 Roll the mat in the Cricut and click the Cut button on the machine. The light in the machine will locate each of those 3 registration marks and then start cutting. Look how great they turned out! Now they’re ready to attach to treats, gifts, whatever. I filled some clear gumball tubes with soft peppermints. 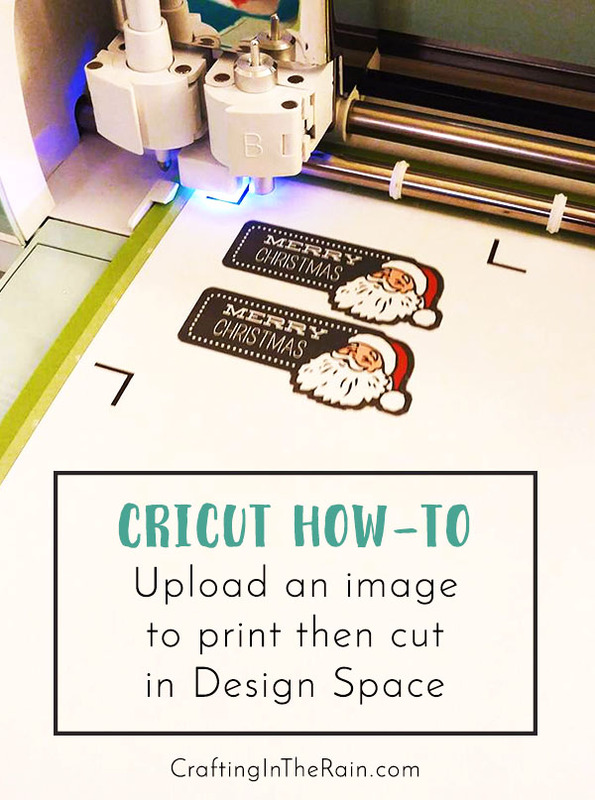 Are you ready to go print and cut your own images in Cricut now? I told you it was easy! Make something, then tag me on Instagram (@steph_crafting_rain) so I can see it! 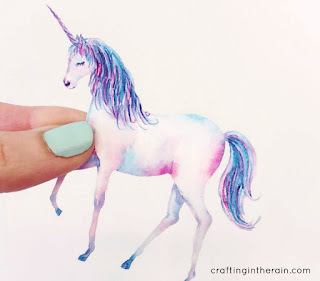 Click here for another tutorial on how print and cut your own images in Cricut, I just made these Unicorn Stickers too – check out the post! Can this be done with a photo? How did you make the tag? 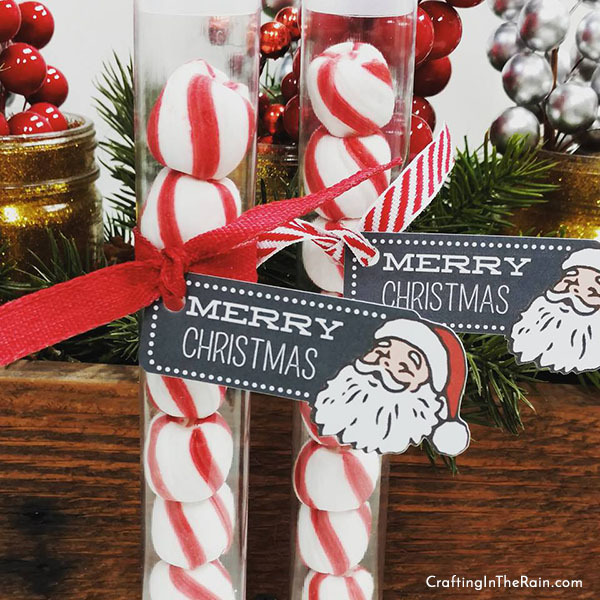 I'm new to the Cricut and they have figured out how to do what you have shown in this post. However, my question is, I have an image that I would like to create a stencil with using contact paper. I cannot print on the contact paper. So how would I print my image but then have the cricket cut the image on contact paper instead of the printed paper? I took a rounded rectangle, added text and added a line of tiny circles around the edge. 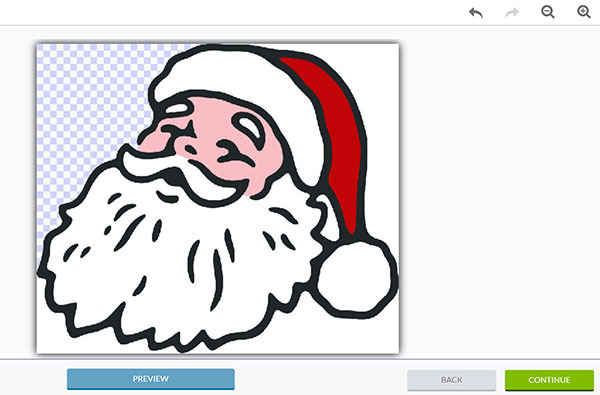 I positioned the Santa head where I wanted it and then selected everything and hit flatten. Yeah, you can skip the printing. Watch the video above – and see where I select "save as Print Then Cut image" instead pick the one next to it that says "save as Cut file" This way it will only cut the outlines of the shape / stencil, and you won't have to print anything. Hope that helps! I have a IPad Pro and you are showing how to do this on a desktop computer or laptop. I don’t have a mouse on my iPad so how am I going to click on something when I don’t have a mouse? This is something that a lot of women don’t understand that not all of us have laptops or desktops. Could you please explain this with an iPad screen??? Yes, I was using my laptop here, so there will be differences when using an iPad. I haven’t done it myself yet, but I should try it out! You will first need an app called AnyFont. There should be some tutorials out there on how to use it, so I hope that helps a little! Hello ! I was wondering what kind of printer do you use ? So do you print the image on your printer, then use the cricut to cut them out? Because the cricuit is not capable of printing colors like that right? Hi there I do a ton of waterslide for epoxy cups and I recently bought a bunch of svgs and uploaded them as a “cut” image . How can I convert a cut image back to a “print” image so I can use it as both if needed.? Help!! I’m stressing. I have hundreds of svgs. Hmm, I don’t think that’s possible once it’s been uploaded. Are you uploading svgs or jpgs or pngs?